Earlier this week, Shelbyville was awarded another $1 Million in road funding through the state’s “Community Crossings” program. 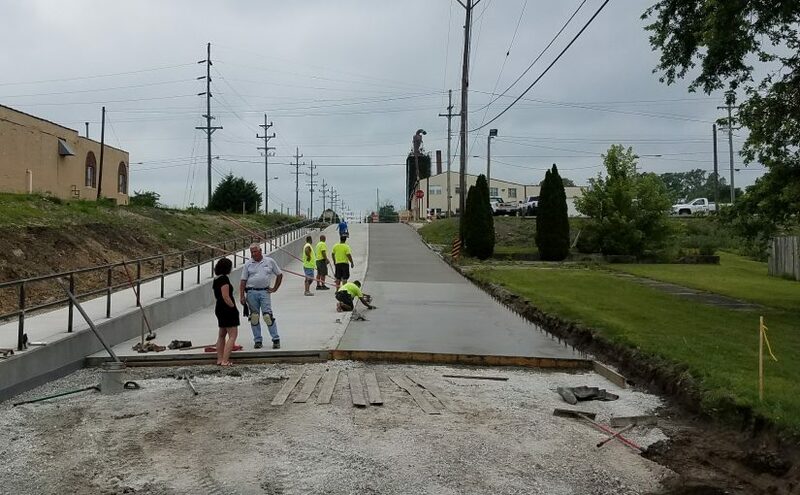 These funds will help to further accelerate efforts to improve the road networks in Shelbyville, funding an additional 48 resurfacing projects, a 2-block reconstruction project, and another 2 blocks of partial road reconstruction for the next year. Since the “Community Crossings” program was established in 2017, the City has been awarded $3 Million dollars in additional road funding, which has completed much needed maintenance and repair work on numerous local roads. 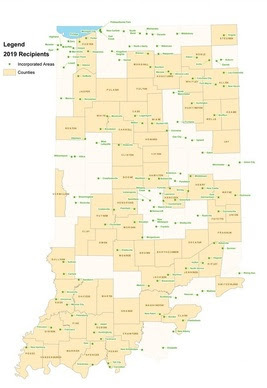 In 2019 and 2020, over 60 projects will be completed due to the Community Crossings Initiative funding made available through the State of Indiana. A map showing all of these project locations has been made available. 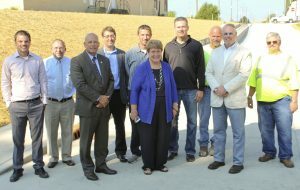 INDIANAPOLIS – Governor Eric J. Holcomb and Indiana Department of Transportation Commissioner Joe McGuinness today announced 189 Indiana cities, towns and counties received a combined $115 million in state-matching funds for local road projects through the Next Level Roads: Community Crossings Initiative. The Community Crossings Initiative has provided more than $500 million in state matching funds for construction projects. The latest round garnered 229 applications—making the call for projects highly competitive. In response to local requests to help manage project flow, INDOT now accepts applications in both January and July, with a $1 million cap annually per community. An estimated $100 million will be available for communities opting to apply during the 2019 summer call for projects. To qualify for funding, local governments must provide local matching funds, 50 percent for larger communities or 25 percent for smaller communities, from a funding source approved for road and bridge construction. They must also submit an INDOT-approved asset management plan for maintaining existing roads and bridges. State law requires annually that 50 percent of the available matching funds be awarded to communities within counties with a population of 50,000 or fewer. State lawmakers identified long-term funding for Community Crossings as part of House Enrolled Act 1002, passed by the legislature and signed into law by Gov. Holcomb in April 2017. The list of all communities receiving matching funds in the 2019 winter call for projects is online at www.in.gov/indot/communitycrossings.